Cereals endorsements aren’t just for athletes anymore. If Buffalo Bills quarterback Doug Flutie can get his own brand of cereal aptly named Flutie Flakes, so can literary heroes. 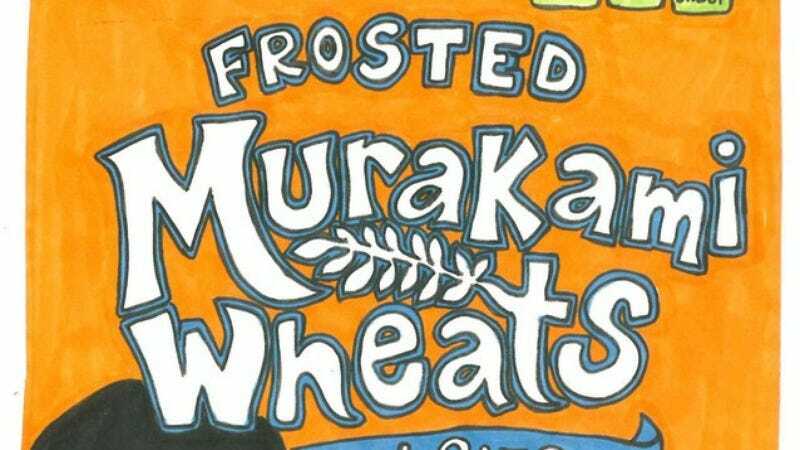 Illustrator Kate Gavino’s new series, Authors As Breakfast Cereal Mascots, puts several literary darlings on the breakfast box. Imagine starting your day with Honey Bunches Of Oates, Franzen-O’s, Cinnamon Tartt Crunch, Frosted Murakami Wheats, or Frosted Foster Wallace Flakes. Now that’s the Breakfast Of Champions.